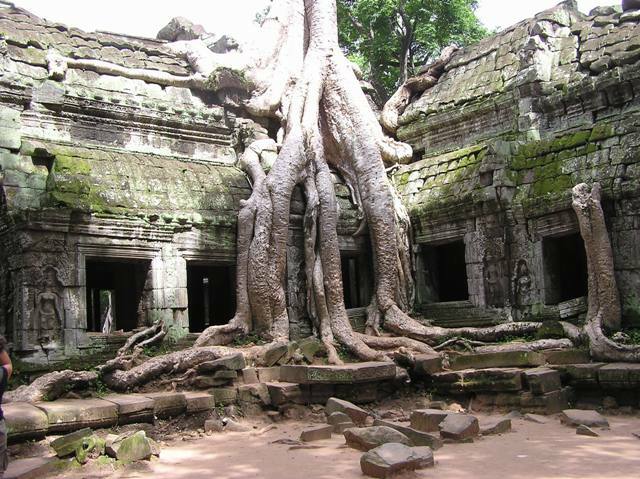 Angkor Wat Angkor, in northwestern Cambodia, is one of the most important archaeological sites in South-East Asia. Stretching over some 400 sq. 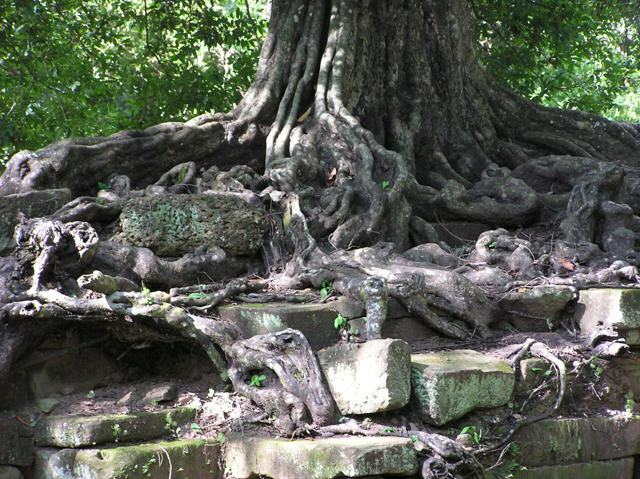 km, including forested area, Angkor Archaeological Park contains the magnificent remains of the different capitals of the Khmer Empire, from the 9th to the 15th centuries. The area had been occupied since neolithic times but became a center of civilization centered on the organization of wet rice shortly after iron was introduced to the region. A vast network of dams and canals have been uncovered that may have served to capture water and route it into reservoirs and irrigation ditches that increased rice production and sustained the empire for more than 500 years. 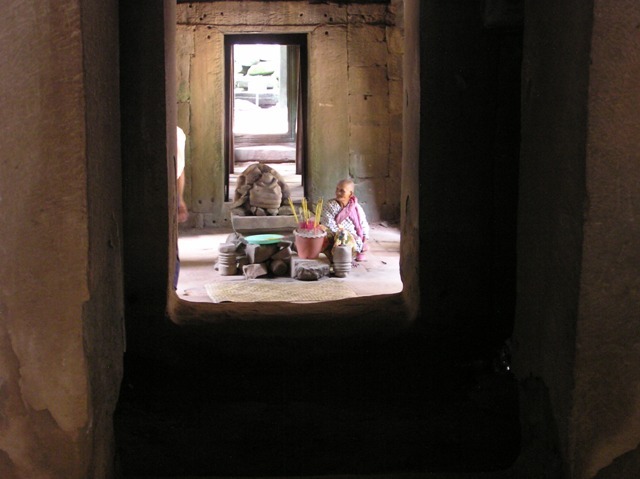 It is said that, at its height, over one million people were resident in and around Angkor. The archaeological site includes many treasures including a large palace complex and over one hundred temples. Through the mid-twelfth century, kings were Hindu. 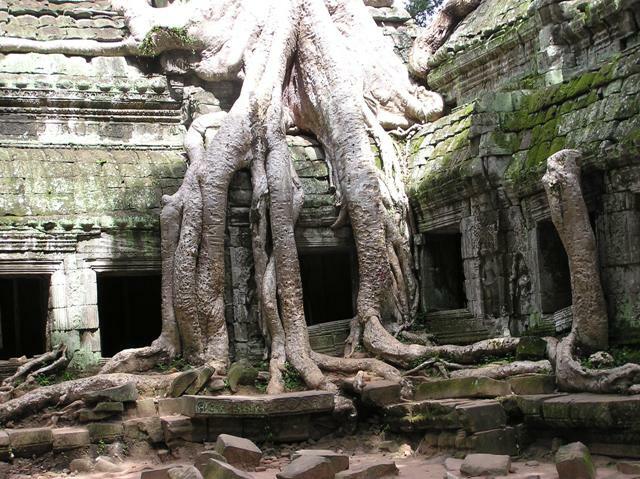 Among the most beautiful of the Hindu temples, "Angkor Wat" was constructed during the first half of twelfth century. Angkor Wat contains, among other features, a large royal complex and administrative center of more than seventy-five square miles. 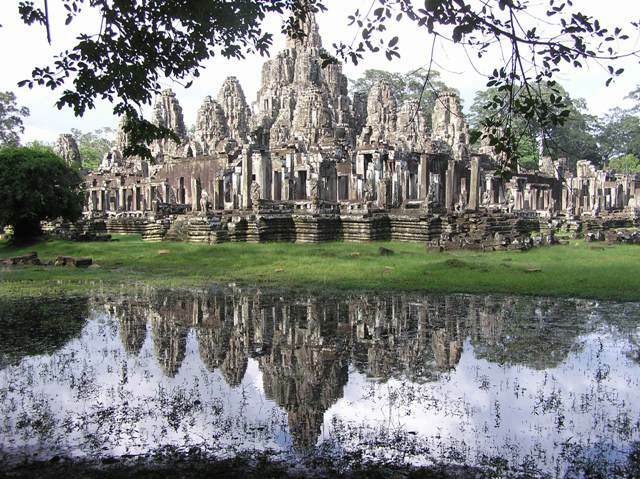 Angkor Thom, which may have been the last of the sumptuous capitals, was a city of nine-square kilometers that contains the exquisite Bayon Temple with superbly preserved bas-reliefs. 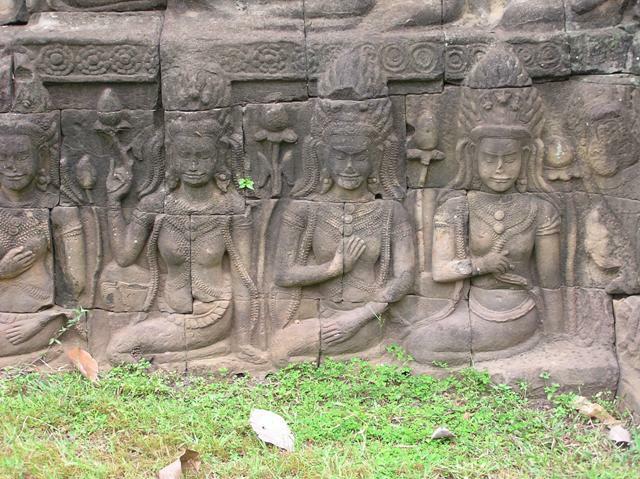 Angkor Thom seems to have flourished around 1200. 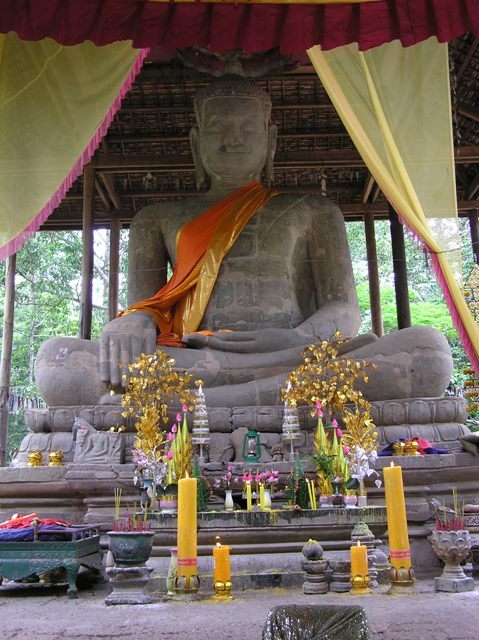 At the end of this century, Buddhism appears to replace Hinduism as the state religion. 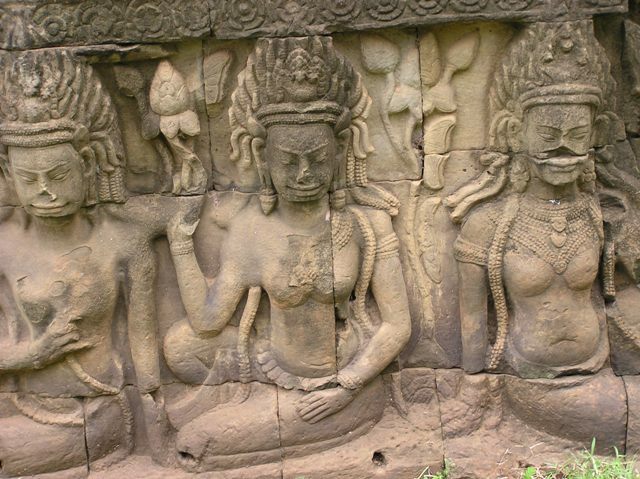 For five hundred years Angkor kings were the masters of the most important empire in Southeast Asia. 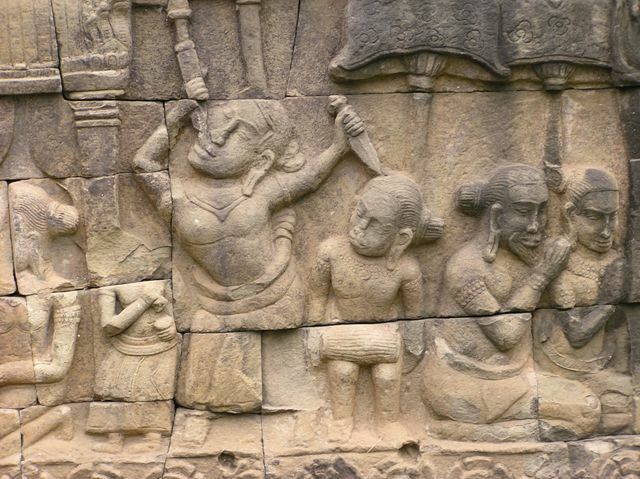 Their power gradually decreased, however, and between the middle of fifteenth until the end of sixteenth century Angkor remained a small center of a diminished kingdom. 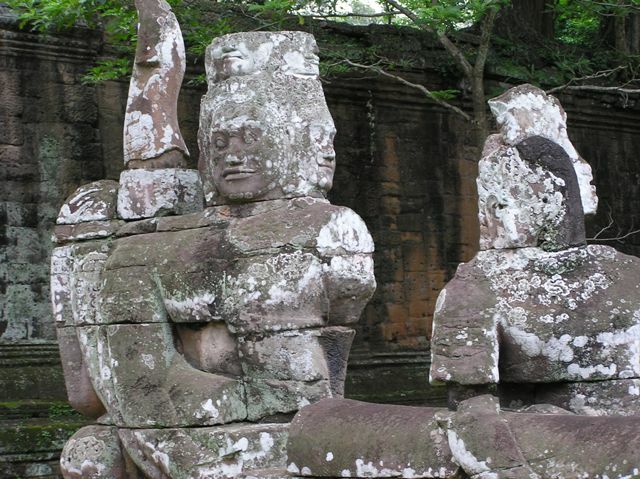 Although Angkor was first noticed by Portuguese traders in the 18th century, it was brought to the attention of the western world after the visit of the French explorer Henri Mouhot in 1860. Several expeditions followed. A number of these returned with sculptures to Paris; many examples of moldings and other architectural details are still on display at the Musée Guimet. 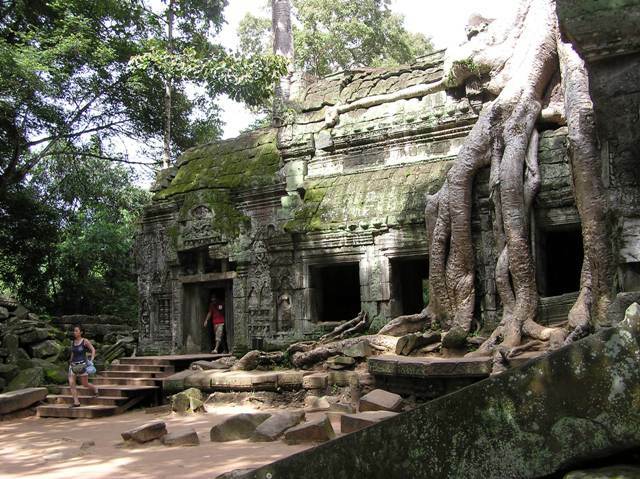 From 1908 to 1970 the French concentrated on the preservation of Angkor, establishing an institute for this purpose known as Conservation d'Angkor. 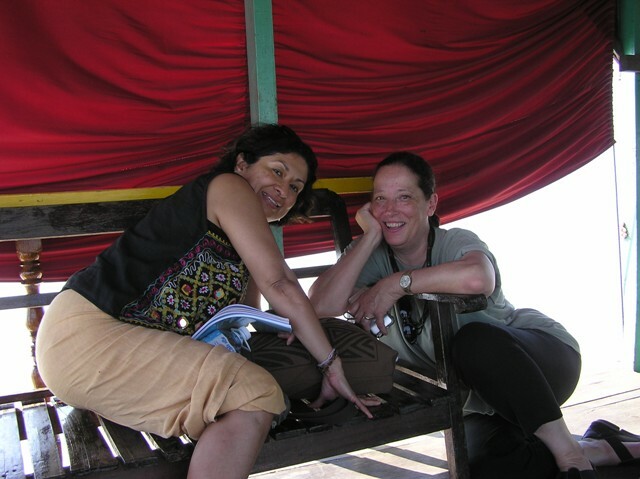 During two decades of unrest and warfare, the site suffered many abuses, include looting, vandalism, neglect, and natural forces. 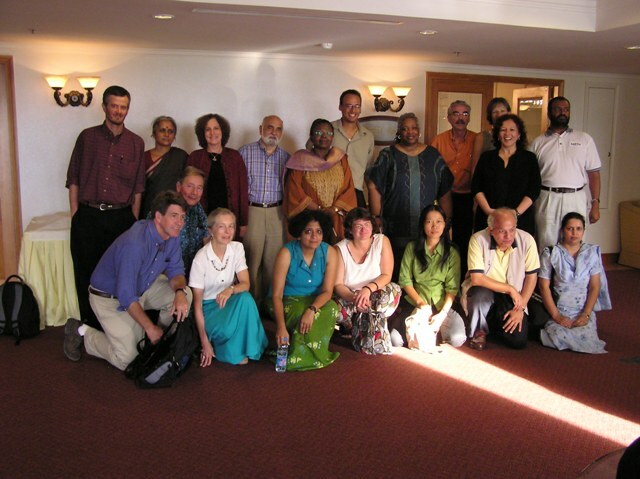 The Sophia University of Japan formed the Angkor survey team in 1980 to study and restore the ruins. Local people were trained to carry out work. 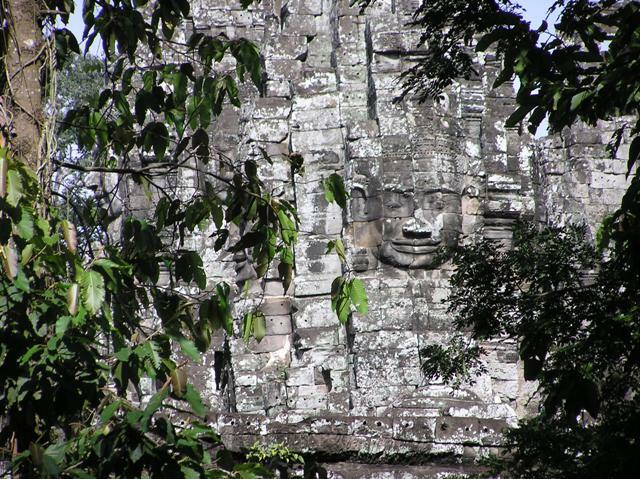 In 1989, a mission was sent by UNESCO to assess the condition of Angkor. 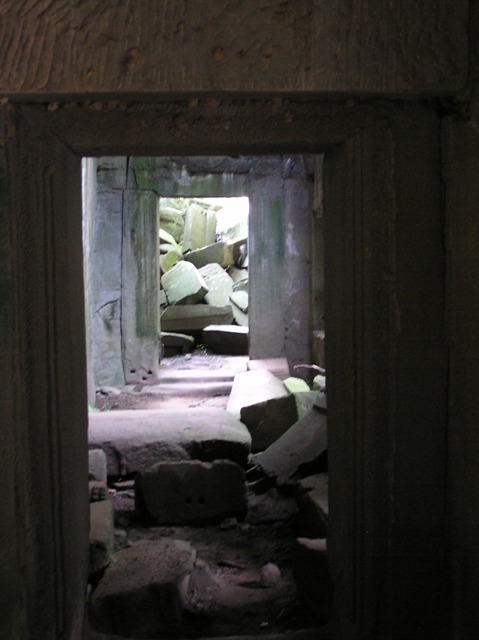 That assessment led to the inscription of Angkor on the World Heritage List, in December 1992, as well as the World Heritage-in-Danger List, to save it from further destruction. Today assistance is provided by many member states in the international community. Recent reports suggest that the newest threat to the preservation of Ankgor is the rapid growth of tourism.